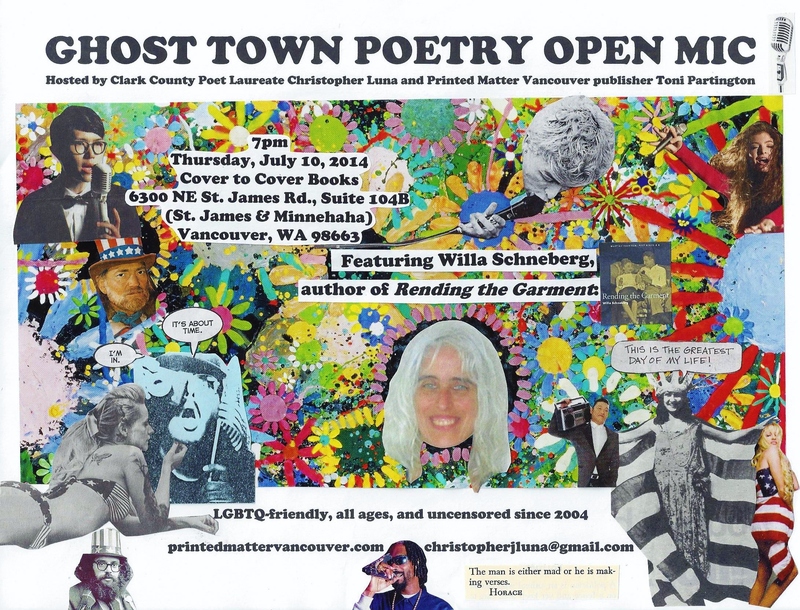 Willa Schneberg has authored five poetry collections: In The Margins of The World (recipient of the Oregon Book Award in Poetry), Box Poems, Storytelling In Cambodia, the letterpress chapbook The Books of Esther (produced in conjunction with her interdisciplinary exhibit at the Oregon Jewish Museum, Fall 2012), and the recently released Rending the Garment (Mudfish/Box Turtle Press). 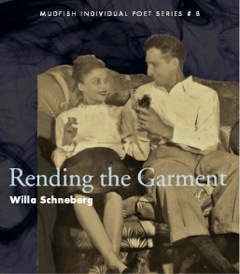 Rending the Garment is a narrative tapestry encompassing persona poems, prose poems, flash fiction, imagined meetings with historical figures, ancestral appearances, and ephemera. This series of linked poems explores the life and times of one Jewish family. Willa lives with her husband in Portland, Oregon. 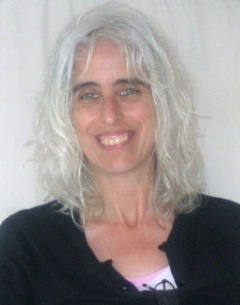 For more info visit http://www.threewayconversation.org. I find one on the sleeve. one has attached to my ski pants. one clings to my chest. from a single long white hair.